The year has flown by so fast. It’s hard to believe it’s my one year blogaversary today, June 6th, 2014. 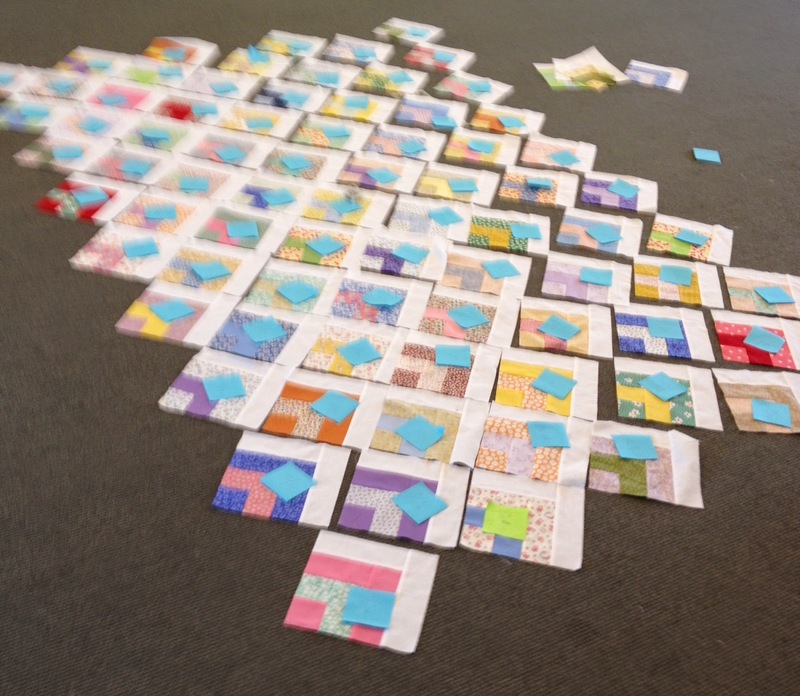 I have learned so much from so many quilters and bloggers. I have made many online friendships and feel apart of an incredible community who have so much generosity of spirit. Thank you so much!! To celebrate this occasion, Forth Worth Fabric Studio http://www.fortworthfabricstudio.com/ has offered a $25 gift certificate for me to give-a-way to one lucky winner. In order to win, sign-up for Forth Worth’s Fabric Studio’s newsletter. Please leave a comment in my comments box,letting us know that you signed up for it,and tell us what is your favorite bundle from their web site. I will announce the winner in the morning, on Wednesday, June 11th on my blog. Also, please make sure you include your e-mail address, so I can contact the winner directly. And don’t forget to stop by Plum and June’s New Quilt Blogger’s Blog Hop http://plumandjune.blogspot.com/2014/06/the-new-quilt-blogger-blog-hop-and.htm The button is on my side bar and below. Thanks to Plum and June for organizing this amazing hop. 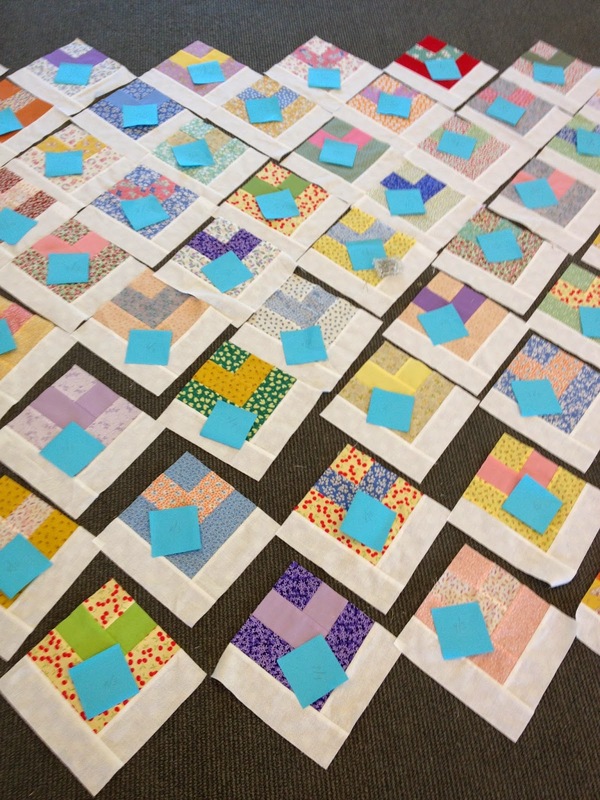 Please check out the blogs of the other amazing quilt bloggers participating in this event. I will be posting the lists of bloggers participating in this blog hop through July, so stay tuned!! And thanks again to Jodie at Fort Worth Fabric Studios for making the blogaversary celebration even sweeter!! Over the weekend, I laid out all 80 squares for my king size Pick and Mix. It took about 2 hours, and I still wasn’t satisfied with the final block arrangement. The values of some blocks that were next to each other weren’t working for me. I number each row and square. For example; Row 1/1, 1/2 and so on. I will lay it back out again and move the blocks around until it works. Tomorrow is the beginning of the New Quilter’s Blog Hop which I will be participating in. My post will be Wednesday, June 4, as well as some of the other new bloggers. The hop continues into July, and I will post links to other blogs so you can read about their experiences too. Thank to Plum and June http://plumandjune.blogspot.com/for organizing and sponsoring this blog hop.